Links that will help you handle your utility bills with ease! Our Townhouse residents will need to set up an account for gas with the Philadelphia Gas Works. Please set up your gas account for the day you expect to move in. Our apartments offer easy access to several Septa trolley and train stations. Hotwire provides Cable Television, Telephone Service and High Speed Internet in the Philadelphia area. Many of our leases already have Hotwire services included. If you would like to open an account with Hotwire or make arrangements for installation or repair, please contact them by phone. 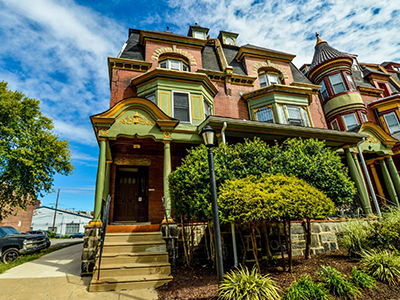 University City District is a nonprofit, neighborhood-based special services district dedicated to improving the quality of life in the 2.4 square mile area of West Philadelphia, known as University City. To learn more about living in the University City area and everything our nieghborhood has to offer, take a look around UCD's website.